Just as AI has become the leitmotif of the advanced scale computing market, infusing much of the conversation about HPC in commercial and industrial spheres, it also is impacting high-level management changes in the industry. Andrew Ng, one of the highest profile of players in AI, announced that he has resigned his post as chief scientist at Baidu. His destination: unknown. In addition, Nvidia announced that Tencent Cloud will integrate its Tesla GPU accelerators and deep learning platform, along with Nvidia NVLink technology, into Tencent’s public cloud platform. Rao announced his new position and AIPG in a blog (“Making the Future Starts with AI”) that underscores Intel’s AI push, along with its recent $15B acquisition of Mobileye. Formation of AIPG adds fodder to the drumbeat among industry observers that the company views AI, broadly defined, as its next big growth market. In addition, the company’s processor roadmap emphasizes co-processors (aka accelerators) used for AI workloads. To date, Nvidia GPUs have enjoyed the AI processor spotlight. 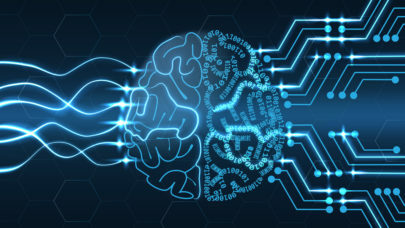 But in commenting on Intel’s x86-based roadmap at this week’s Leverage Big Data+Enterprise HPC event in Florida, a senior IT manager at a financial services company believes Intel will mount a major competitive response in the AI market. “I wouldn’t want to be Nvidia right now,” he said. “The new organization (AIPG) will align resources from across the company to include engineering, labs, software and more as we build on our current leading AI portfolio: the Intel Nervana platform, a full-stack of hardware and software AI offerings that our customers are looking for from us,” Rao said. “Just as Intel has done in previous waves of computational trends, such as personal and cloud computing, Intel intends to rally the industry around a set of standards for AI that ultimately brings down costs and makes AI more accessible to more people – not only institutions, governments and large companies, as it is today,” he said. Nvidia had significant news of its own this week in announcing Tencent Cloud’s adoption of its Tesla GPU accelerators to help advanced AI for enterprise customers. As part of the companies’ collaboration, Tencent Cloud said it will offer a range of cloud products that will include GPU cloud servers incorporating Nvidia Tesla P100, P40 and M40 GPU accelerators and Nvidia deep learning software. As for Andrew Ng, he did not state what his next career step will be, only saying “I will continue my work to shepherd in this important societal change. Ng, who was a founder of the Google Brain project, joined Baidu in 2014 to work on AI, and since then, he said, Baidu’s AI group has grown to roughly 1,300 people.